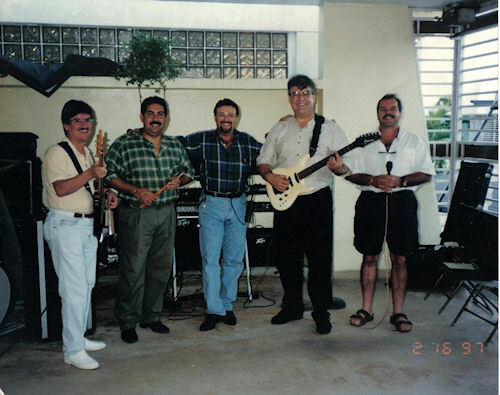 By Tony Sotomayor ~ In the above picture is the original Thunders at the La Guadalupe Church in Puerto Rico. 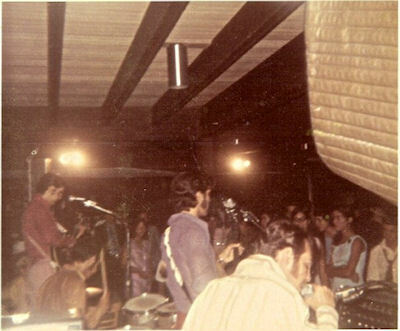 They used to have youth activities in the back of the church. 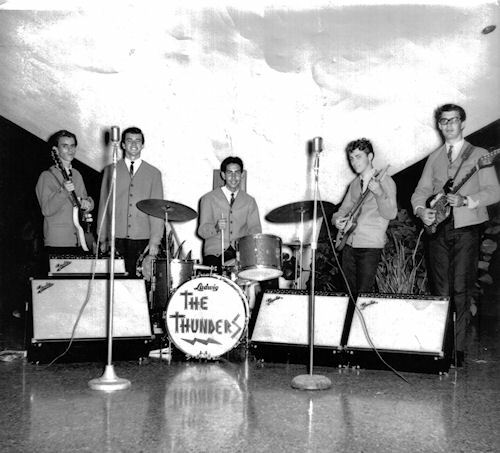 I played there first with The Teen Sounds and then these Thunders played after us on different occasions. 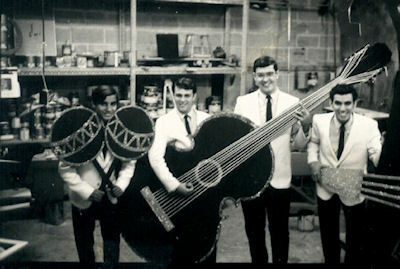 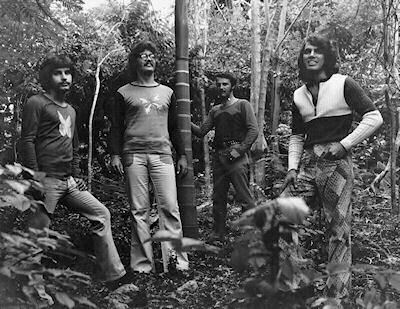 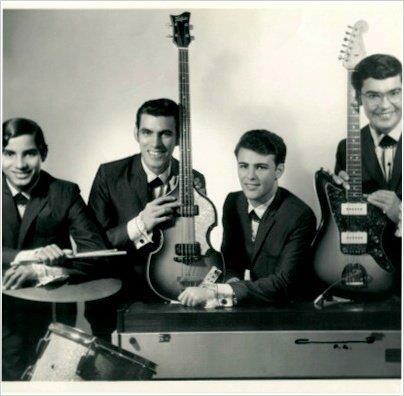 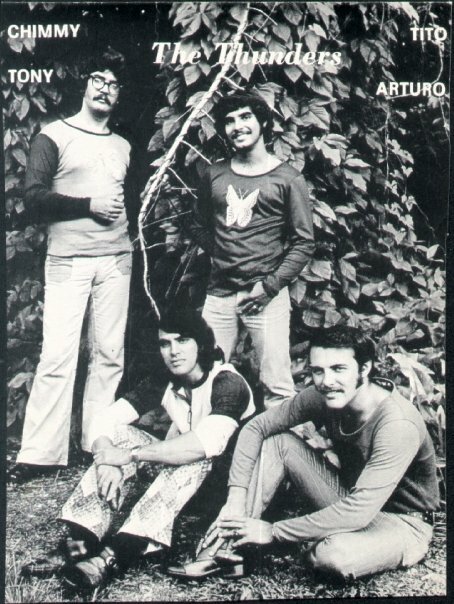 Later in 1967 I left The Teen sounds and reorganized The Thunders with Arturo Berrios (keys),Tito Quesada (drums) and Chimmy Portillo (guitar). 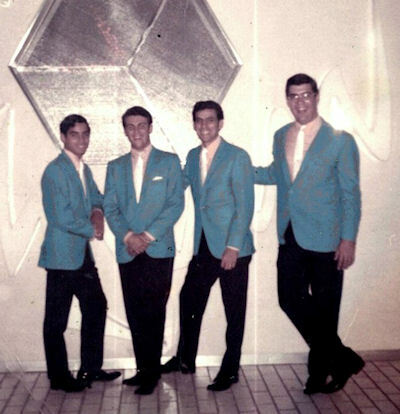 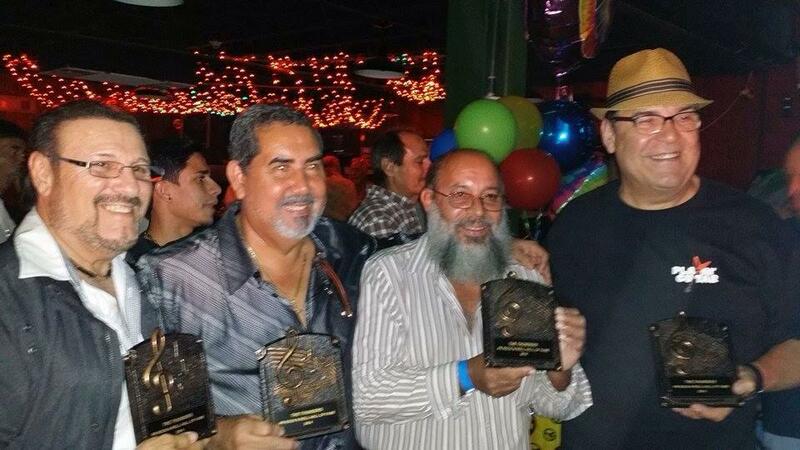 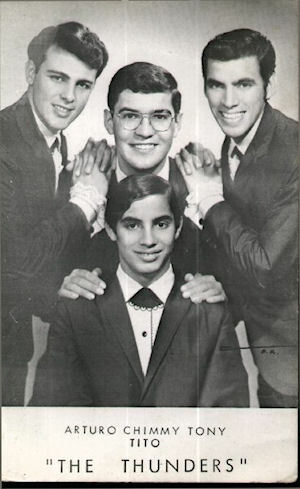 Jorgito and Hector (from the original Thunders) then joined the Teen Sounds and changed their name to Sounds Inc. 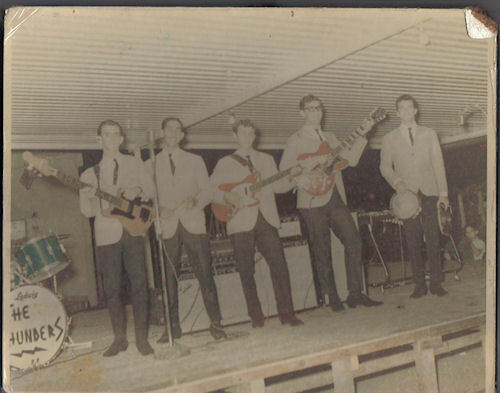 I have very fond memories of The Teen Club in Ft. Buchanan. 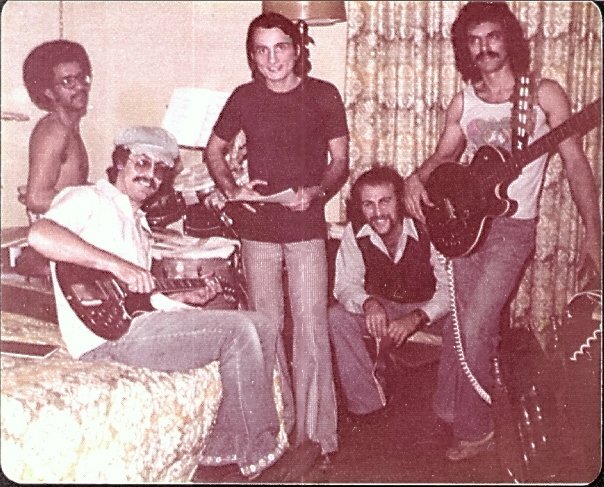 Those were great parties. 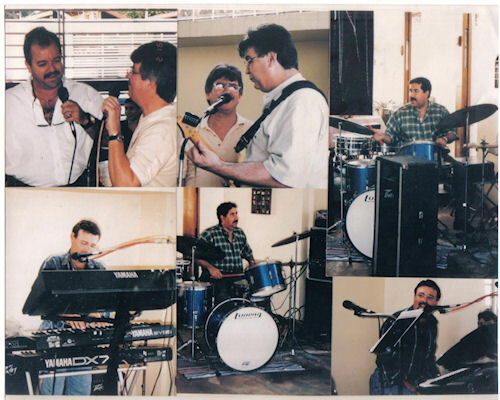 We also played the NCO Club many times. 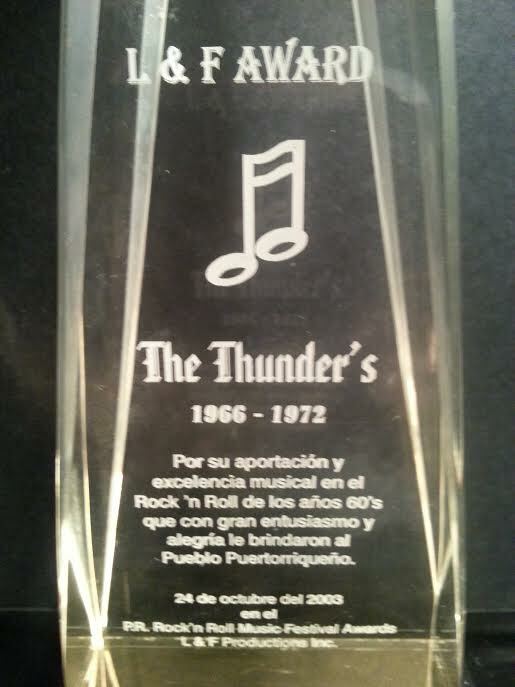 Deep appreciation to Gilberto and Ivonne Casillas, and Tony Sotomayor of The Thunders for all of these wonderful pictures and information. 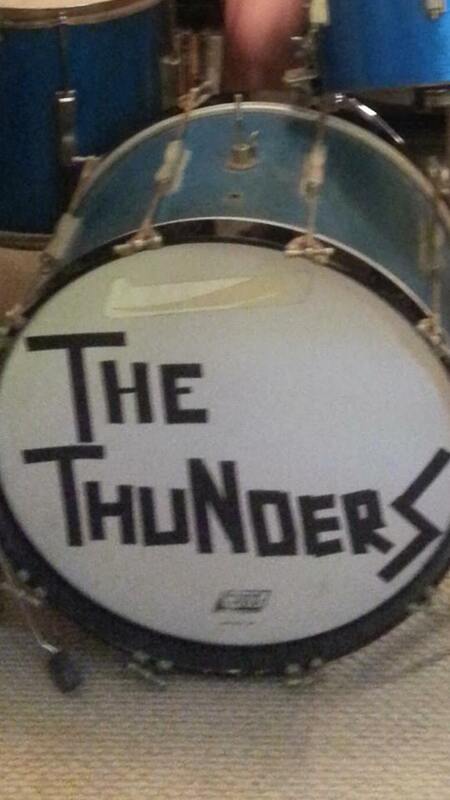 Original Thunders drum set still alive! 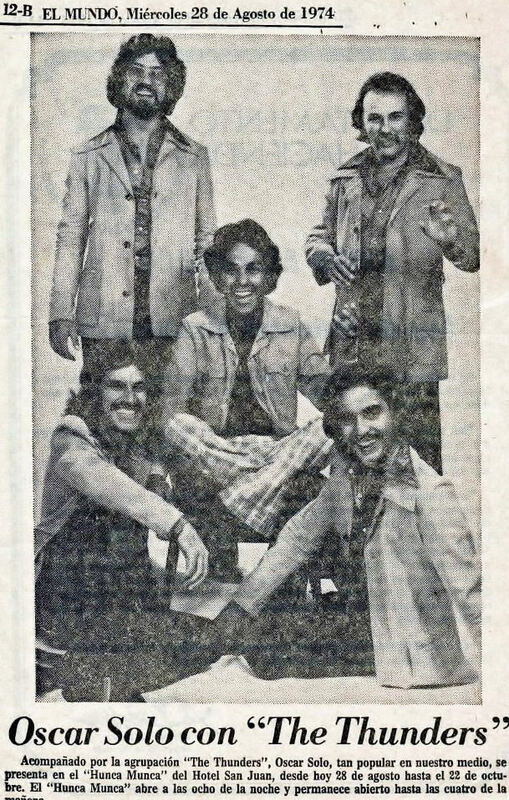 During the peak of our TV days. 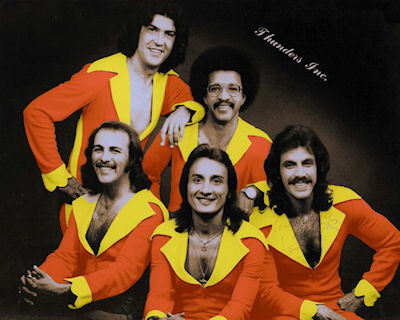 You have done an excellent job in the Webmaster page. 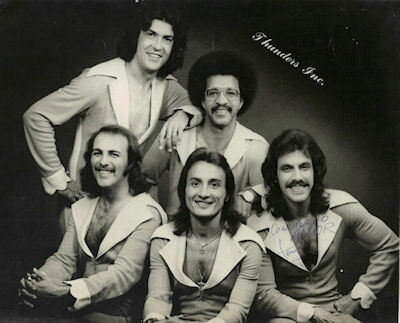 Thank you for giving us credit on the Thunders. 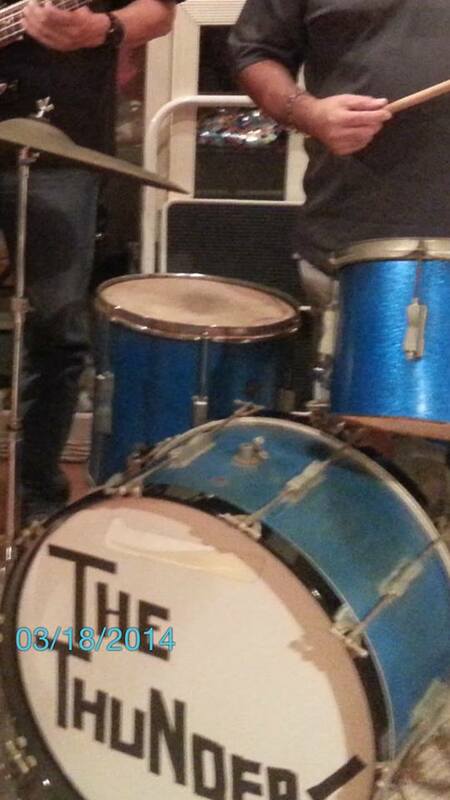 Hope to meet you soon so we can continue rocking! 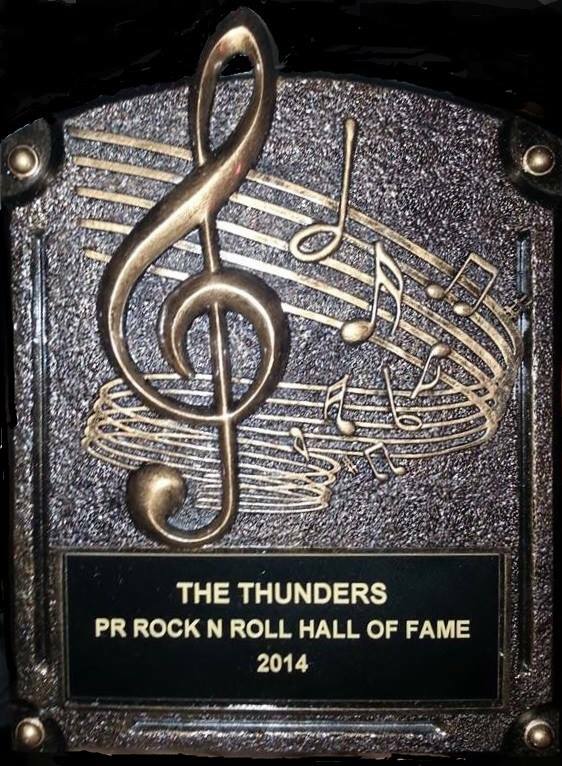 May God bless you and all the rock 'n roll band members you have made this possible.